November 15, 1996 (12 years ago): Tomb Raider is released. Consoles: Originally Sega Saturn, then Sony PlayStation, MS-DOS, and later others. It was 12 years ago. Lara Croft, later hailed as the most recognizable female video game character, became known to public, and conquered hearts of millions (in part due to the game designers fooling around and enlarging Lara's breasts to 150% size, and then deciding to leave it that way). She could be seen on magazine covers, computer backgrounds, posters, and even TV. People fell in love with her... All in all, she was a female Indiana Jones (only with Harrison Ford replaced by a hot acrobatic babe). The plot (just like the plot of almost any game in the series) was not anything particularly amazing - Lara finds an ancient artefact, realizes that there are more, but before she can find them all, someone evil uses the artefact's power and turns himself/herself into a mutant/dragon/spider/etc. for Lara to deal with. Also, at some point during any story, Lara absolutely must be stripped of all her weapons (not clothes) so that she can has fun recovering them while defenseless (a recurring story element). What really attracted people (besides the protagonist herself) was the gameplay. 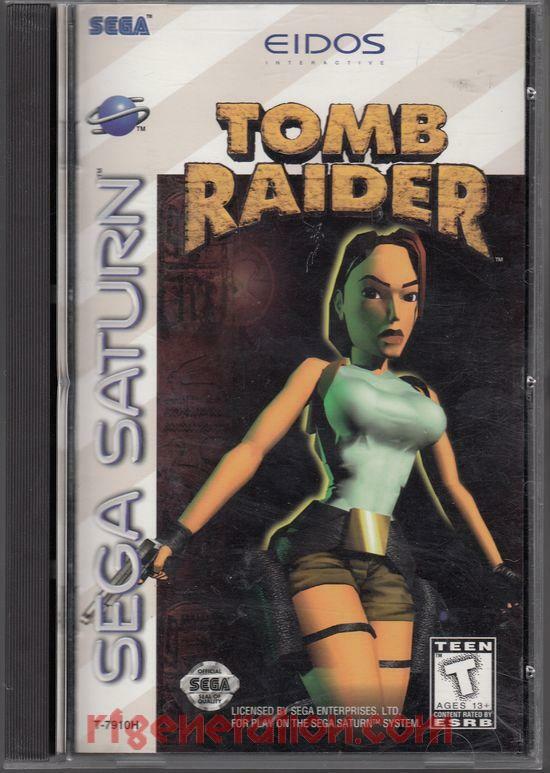 A combination of traditional platform action (similar to Prince of Persia), cutting edge 3D graphics, the revolutionary third-person camera, gun action, and simple but clever puzzles is what made Tomb Raider famous (and, by extension, what raised PlayStation's popularity in its early years). The series continued with the hit TR2, improved graphics for TR3, and while TR: The Last Revelation brought the Egypt locations back, TR: Chronicles and Angel of Darkness disappointed many fans, and some feared that the series may be dead. It was not until recently when Core Design handed over control to Crystal Dynamics, which resulted in the true revival of Lara in TR: Legend, a remake of the original called TR: Anniversary, and the new title, TR: Underworld, about to be released (three days left). Anyway, celebrate this day by playing the games from the series. I myself have many fun memories. Remember, in the second game, how Lara had to outswim a shark deep underwater? Or how in the third game she had to infiltrate Area 51? How about pig-tailed 16-year-old Lara running around a really creepy Irish village in Chronicles? This is Nik the Russian's Blog.